Okay, I admit, we have a weird behavioural pattern (some of us at least). But that does not give anybody the right to judge us! Even if it’s pure sarcasm. Some of the things we do might even seem cute to other people. 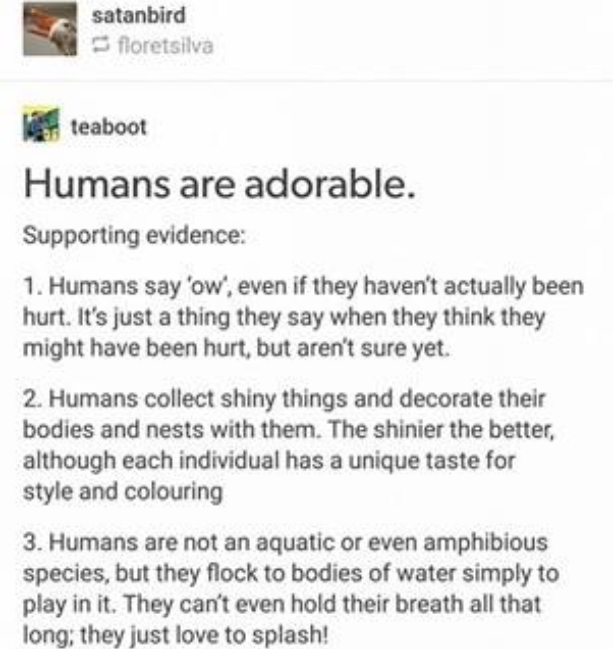 Especially those who love us because, oh well, everything we do is adorable in their eyes. But also, those watching from a distance will definitely have a good laugh. 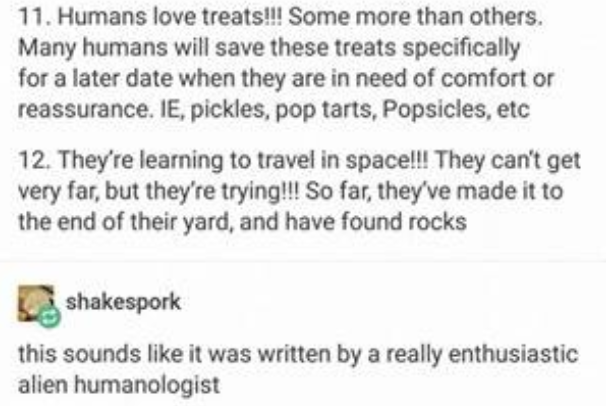 But what the hell, they’re humans too! 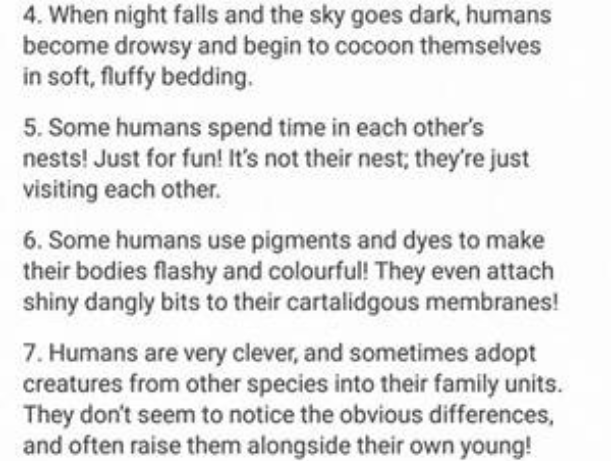 Here are some hilarious facts about us humans that will definitely put you in thoughts. It’s actually interesting how we respond to pain even before it starts to hurt us. Yes, we adopt cats and dogs and other animals and raise them as our own children! You got a problem with that? I love the ‘frustrated because of the sneeze’ part. Not entirely sure if it’s adorable, but it sure is really funny. 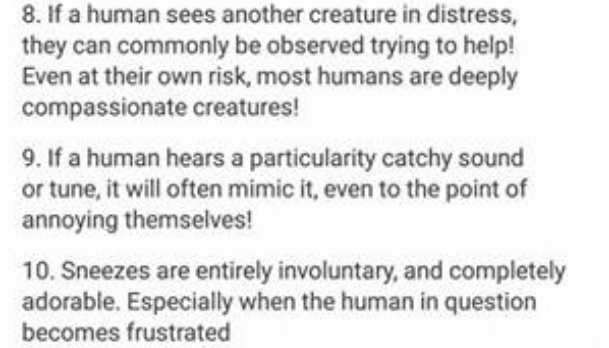 Honestly, even I felt as if these were observed and written by some alien who is not so happy to visit earth and who is trying to protect another species from us. But what did you think? Let us know in the comments below and don’t forget to share this amusing post with your friends!